While at C.B. Hannegan’s in Los Gatos, CA (GREAT Single-Malt selection), I tried a glass of the Aberlour 10 year. I have had a great deal of the distillery’s a’bunadh expression, which is a vatting of Aberlour whiskies from a range of ages (10 to 15 years) and bottled at cask strength (a whopping ~60% ABV). I wanted to see how the distillery’s 10-year bottle-strength (40% ABV) expression compared. Nose: Sherry, orange peel, tangerine sherbet. 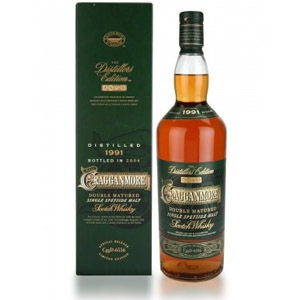 The palate is very similar to the a’bunadh, heavy on the sherry, a little oak, some cherry and citrus, not nearly as much burn, developing with more fruit on the tongue. Really long finish, mostly sherry, but also raspberry and hops. 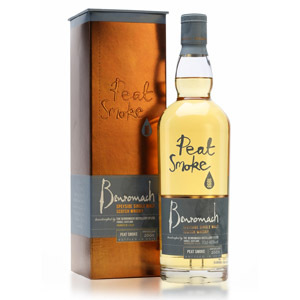 Overall, I like this dram and would have wanted a bottle… except that this one doesn’t stand out against an array of similar, sherried Speysiders. I feel there are more expressive whiskies in this price range from Speyside (The Macallan for example), and since the a’bunadh gives all of these flavors and more, I can’t see a spot on my shelf for it. 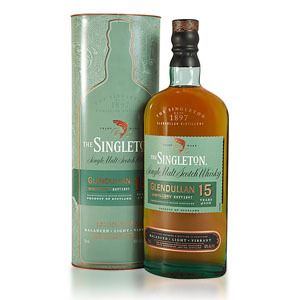 Unfortunately, for me, the 10-year doesn’t stand up to its cask-strength older brother, even with the price difference. I’d would be interested in what you though. Of Aberlour 12 yr double cask, I picked up a bottle at my local Costco for $42 which I thought was fair. I’m quite new at the whole scotch game and haven’t yet got past primary flavor profiles but found the 12yr quite thin probably a result of the 43% as oppose to the 59.8% of my batch 39. I was quite sick the last two times I sampled it so I don’t know how accurate my taste was but I would put it a tiny bit above a Macallan12 yr but not by much. Looking forward to hearing you give a review as I purchased this instead of a Balvenie double wood and would love to hear a comparison. Alas, I haven’t sampled the Aberlour Double Cask. I will keep an eye out for a chance to taste it, though, and post my thoughts when I do. It’s indeed true that when sick, the ability to taste whisky decreases substantially – I never do “real” tastings for the site when I’m sick or have bad allergies, and even when I try to relax with a dram, I find it flat and over-alcoholic. I enjoyed the Aberlour 10, over the Macallan 12 year old the macallan felt flat and drab while the aberlour had a nice touch of cinnamon to me and raspberries. Honestly i like Macallan, just not the 12 but the directors edition is a work of art same with the 18 year old. Thumbs up all the way. A must for the cabinet. 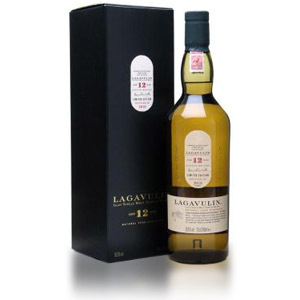 For the price, it out performs many single malt 12s. Nathan. Any thought on the Aberlour 12yr, Non Chill-Filtered? After trying a dram of the Double Cask, I believe the Non Chill-Filtered had an edge up on Double Cask. Thanks. Alas, I have not yet sampled either of the 12 year bottlings. So much whisky, so little time! A frequent favorite of mine. Highly recommend. Haven’t seen this on the shelves in awhile in the U.S. 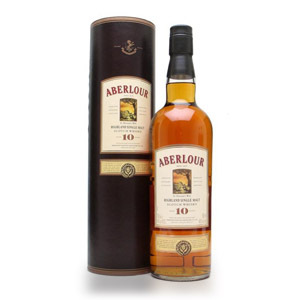 Does Aberlour still offer the 10-year, or have they yanked it for the 12-year? Shame, I vastly prefer the former. Looks like it’s only in the UK, at the moment. I’ve noticed that the larger brands seem to avoid having both 10 and 12 year-old expressions at the same time in some markets.